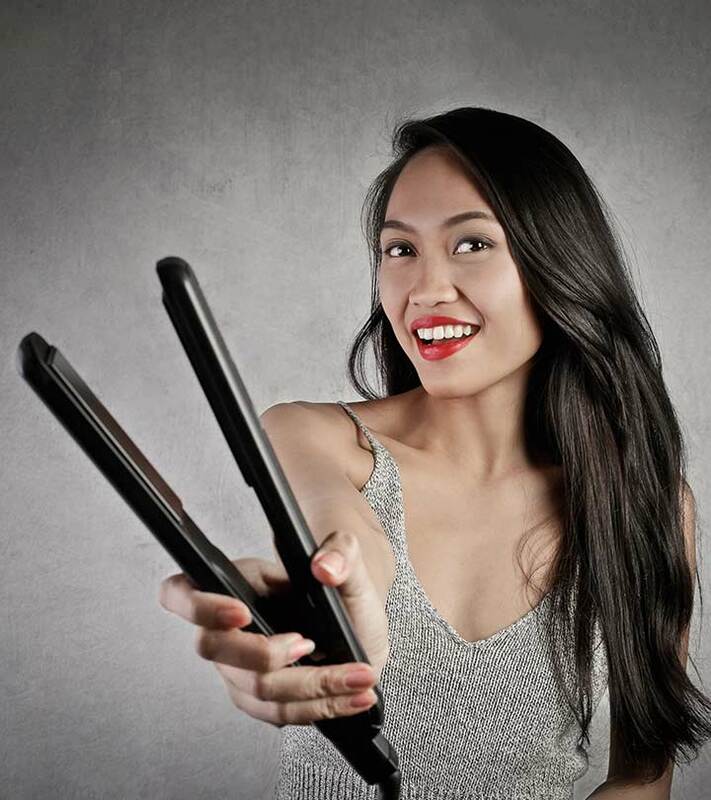 Searching for the perfect hair straightening machine? This can get a little tedious! You have to choose the one that will not break or damage your hair and at the same time work faster. 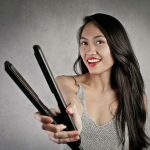 Here is a small guide we put together for the top 10 hair straighteners in the market. They are affordable and won’t cause any harm to your hair. Thick and frizzy hair types need higher temperatures, and thin hair needs lower temperatures. Also, a wide plate ensures you don’t go over ironed hair, again and again, to straighten it, damaging it in the process. Always use a heat protectant while you iron your hair. Never over straighten hair – don’t go over the same slice of hair repeatedly as it damages hair. Straightening hair implies you are using heat on it to style, and this dries it out. So moisturize your hair deep enough to keep it in good condition. Limit straightening to particular occasions to avoid split ends and hair fall. KREA offers the style-conscious modern woman an opportunity to get salon-like hair straightening and shine effortlessly. It is the best ceramic hair straightener with Tourmaline-infused heating gear. 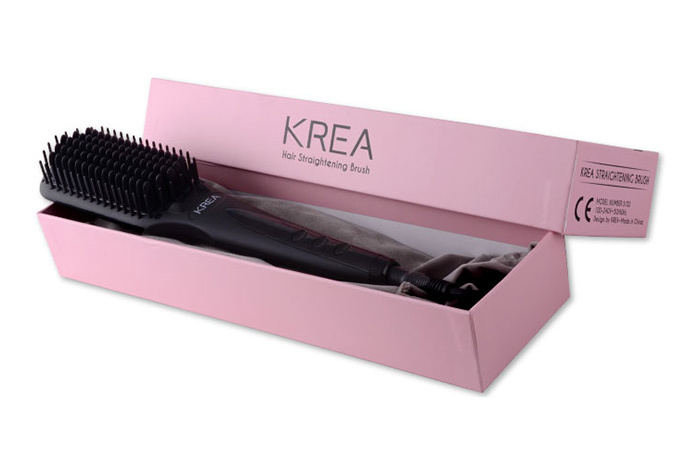 The reason KREA emerged as one of the top straighteners is it straightens hair in less than 4 minutes. Despite being a brush, this product is on par with flat irons. It leaves your hair looking smooth and shiny without the need to section and clip your hair. Its double ion generator head allows for consistent heating, which makes it one of the most convenient straightening tools to use. It is made with industry-grade manganese, ceramic, and tungsten. It has an LED display and controllable temperature settings from 80 to 220 degrees Celsius, which makes it best hair straightener for fine hair. Its comb-tooth tips protect your scalp from potential burns. KREA comes with a 1-year replacement warranty. This brand makes the best of the flat irons with a rating of 4.9/5. The most colorful and effective flat irons are found on Babyliss. They are easily available in most countries. This baby heats up to 450 degrees Fahrenheit with LED temperature settings. It has digital ion technology with emits natural ions. 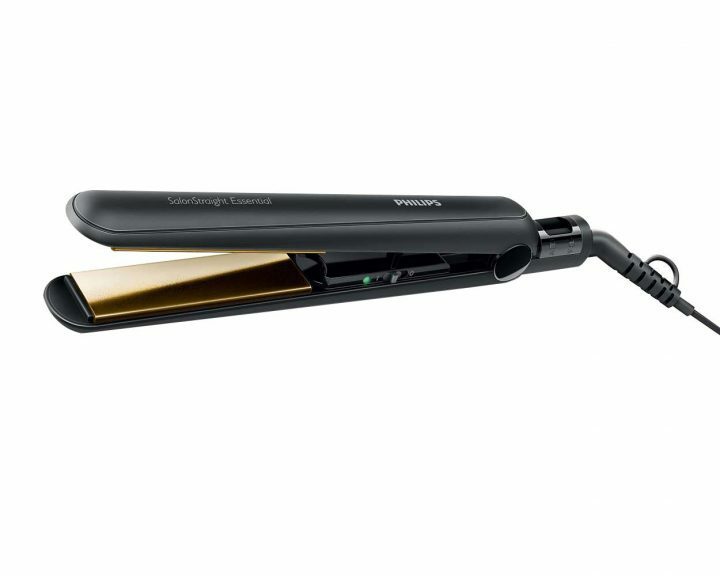 With its ultra smooth titanium plates and ceramic heaters, it is a good hair straightener. Babyliss is easily available on Healthkart.com, Medplusbeauty.com, and Amazon.in. Hair straightening irons from this brand are the most used ones and most revered hair straighteners. ProCare HP8339/00 comes with patented Dual Care plates and EHD technology. With ceramic coating and an LED to indicate whether the iron is ready to use or not, at Rs.3000/- it’s a deal! The heating time is 15 seconds. One of the leading hair straighter brands in the market, Solia is known for pretty colors that attract women. Solia Tourmaline Ceramic Flat Iron With variable temperature settings of 140 F to 400 F, comes with tourmaline ceramic plates and has a width of 1-3/4” plate. Buy your Solia from Amazon.in. Being one of the most affordable brands, Braun makes the sleekest and stylish hair straighteners. Braun Hair Straighteners ES 3 Satin Hair, known as the best flat iron for hair, has a limited heat setting set to 200c to make sure you don’t expose your hair to higher temperatures and damage it. It comes with Nano glide ceramic plates that emit satin ions to maintain satin like soft hair. You can easily find this best affordable hair straightener on Urban Touch, Flipkart, or eBay. Philips hp8315 hair straightener (black) comes with an auto shut-off function, 30 seconds heat-up time, 360° swivel cord, light indicator, dual voltage, ceramic plates and plate locks. This hair straightener has been designed to give the glossiest hairdo that reflects beautiful and healthy hair. It is crafted with dual voltage for worldwide use. It has a 1.8 m cord that can be used from a distance as well. It has a power-on indicator that will give you beautiful results every day without any hassle. The XL ceramic plates work excellently well on dull hair and gives smooth, shining and cascade like hair. It straightens voluminous hair quickly anytime you desire to flaunt a salon-like sassy look. The hair straightener switches off on its own after one hour. This comes with two years Philips India warranty and free transit insurance. The best hair straightener you can have today. Do try it! The Philips hp8309 hair gives you polished, straight and shiny hair without damaging it. It heats up in just 30 seconds and is very comfortable and easy to use. It is compact and small that has heating plates coated with ceramic for positive temperature coefficient heating elements. This retains and distributes heat evenly for quick and efficient results. This makes your hair sleek and straight without breaking or damaging them. It comes with two years Philips India warranty and free transit insurance. This Inalsa trendy hair straightener will give you straight and glossy tresses. This styling tool is affordable and will not pinch your pocket. This is trendy and has the ceramic technology to deliver optimal results in quick time. It’s stylish, sleek, lightweight and compact design makes it easy to carry. The ceramic coated plate distributes heat evenly, retaining heat more efficiently and eliminating damaging hot spots. Like the other good straighteners, it gives shiny and straight hair. It has a one year India warranty and free transit insurance. This has a very compact size and is a curler and straightener in one. The temperature range of the product is 200° c. It has a coating of ceramic for smooth, straight and softer hair. This comes with two years Panasonic India warranty and free transit insurance. This is a salon multi-stylist hair straightener from Philips. This will manage your hair look throughout the day. This comes with six attachments that can help you create large curls, ringlets/waves, crimps as well as flicks and sleek, straight hair. This is easy and comfortable to hold and doesn’t give you any heat burns. The tip is coated with a specially insulating material to keep it cool. This has ceramic coated plates for making your hair shiny and lustrous like never before. The Remington s1005 hair straightener will give you smooth and straight salon-like hair. This comes with a combination of ceramic, tourmaline and Teflon technologies for best results. The hair iron heats in a duration of 30 seconds. This has a plate lock built that makes it convenient to store the device safely. This is very compact and with long plates, it captures thicker volumes of hair. It has easy to use control button and temperature setting regulator. This makes your hair look healthy and straight and also gives it a safe and comfortable styling. This has a two heat settings and 360° swivel cord. This will give you anything from a typical retro look to the trendy, pretty ringlets with just a click of the button and at the comfort of your home. This comes with 10 different attachments that let you set your hair as you wish. This has a concentrator for instant spot drying. This is designed with a cutting-edge technology and is lightweight, compact and easy to carry. This comes with even heat plates that are extra long. This protects against frizz and glides smoothly making it one of the best straighteners for thick hair. This has a high heat setting with the temperature range of 210° C.
This has a triple protection formula for extra smoothness and shiny hairstyles. The quick heat ceramic preserves the natural moisture. This also has a temperature control with on and off switch for perfect heat emission. It comes with six month’s Nova India warranty and free transit insurance. This is also one of the best buys for hair straighteners with a user rating of 4.7/5. Sedu Revolution Tourmaline Ionic Styling Iron is available in many pretty colors. It has a variable setting of 180 F to 450 F and also 2-year warranty. It effectively straightens all kinds of hair textures with its 1” ceramic tourmaline plates. You can get it shipped easily from Amazon.in. Did we miss out any product here? Let us know in the comments below. Till then, keep it stylish! Remington hair styling tools are one of the broadly used products for hair grooming. Here is a list of best Remington hair straighteners available in India. Read on.